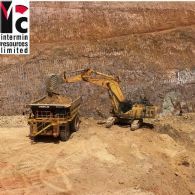 Intermin Resources Limited (ASX:IRC) advises that a resolution has been reached with mining contractor Resource Mining Pty Ltd over claims received by Intermin from Resource Mining relating to the recently completed Teal gold mine Stages 1 and 2. 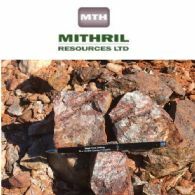 Intermin Resources Limited (ASX:IRC) is pleased to announce an updated Mineral Resource Estimate for the 100% owned Anthill gold project area located 55km northwest of Kalgoorlie-Boulder in Western Australia. Intermin Resources Limited (ASX:IRC) provides the Company&apos;s 2018 AGM Presentation. Intermin Resources Limited (ASX:IRC) and JV partner AXF are pleased to announce further positive metallurgical testwork results from the Lilyvale prospect area, part of the Richmond vanadium project and the commencement of drilling at the project. 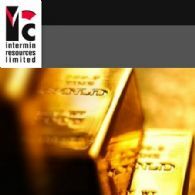 Intermin Resources Limited (ASX:IRC) is pleased to advise that the divestment of Intermin&apos;s interest in the Lehmann&apos;s Well Gold Joint Venture has been completed. Intermin Resources Limited (ASX:IRC) is pleased to announce further excellent reverse circulation drilling results from the 100% owned Binduli gold project, located 9km west of Kalgoorlie-Boulder in the heart of the Western Australian goldfields. 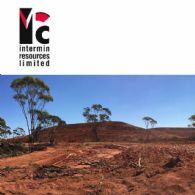 Intermin Resources Limited (ASX:IRC) (FRA:I6R) wishes to advise it has reached agreement with Saracen Mineral Holdings (ASX:SAR) to divest Intermin&apos;s interest in the Lehmans Gold Joint Venture. 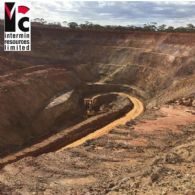 Intermin Resources Limited (ASX:IRC) is pleased to provide the September 2018 Quarterly Activities Report. 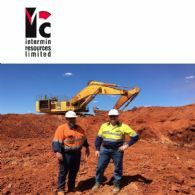 Intermin is a gold exploration and development company with a key focus in the Kalgoorlie region of Western Australia and has a number of joint ventures in place with quality partners covering multiple commodities in Western Australia and Queensland. 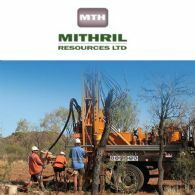 Intermin Resources Limited (ASX:IRC) is pleased to announce reverse circulation drilling results from the 100% owned Anthill gold project located 54km northwest of Kalgoorlie-Boulder in Western Australia. The project comprises granted Mining Lease M16/531 over greenstone rocks situated within the highly prospective Zuleika Shear Zone, which hosts numerous high-grade gold deposits. 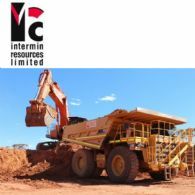 Intermin Resources Limited (ASX:IRC) provides the Company&apos;s Annual Report to shareholders. Intermin Resources Limited (ASX:IRC) is pleased to announce an updated Mineral Resource Estimate for the 100% owned Teal gold project area located 11km northwest of Kalgoorlie-Boulder in Western Australia. Intermin Resources Limited (ASX:IRC) is pleased to advise that today it has completed the issue of 3,226,345 fully paid ordinary shares after receiving final option exercise forms and payments totalling $548,478. 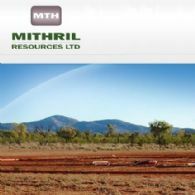 The Directors of Intermin Resources Limited (ASX:IRC) remind holders of the Company&apos;s options with an expiry date of 31 August 2018, that the last trading day for these options on the Australian Securities Exchange will be Monday 27 August 2018. ERA visited a number of Intermin Resources Ltd&apos;s (ASX:IRC) Kalgoorlie to Goongarrie Projects in May 2018, particularly Teal (and Jacques-Peyes), Goongarrie Lady, Anthill, Blister Dam (and its flaky visible gold), Baden Powell & Olympia. We glanced at the location of Crake, which reported those spectacular intercepts of 28m @ 3.3g/t (from 56m incl 4m @ 15.1g/t), and 20m @ 4.6g/t (incl 8m @ 8.4g/t). 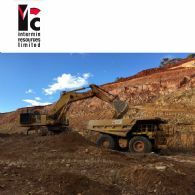 Intermin Resources Limited (ASX:IRC) provides the Company&apos;s Diggers and Dealers Investor Presentation. 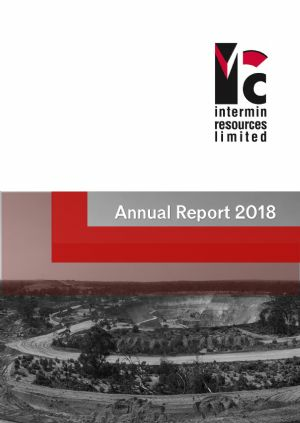 Intermin Resources Limited (ASX:IRC) provides the June 2018 Quarterly Activities Report. 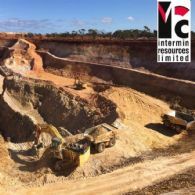 Intermin is a gold exploration and development company with a key focus in the Kalgoorlie region of Western Australia and has a number of joint ventures in place with quality partners covering multiple commodities in Western Australia and Queensland. 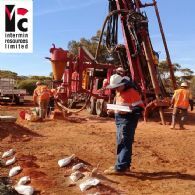 Intermin Resources Limited (ASX:IRC) is pleased to announce reverse circulation drilling results from the 100% owned Goongarrie Lady gold project, located 85km north of Kalgoorlie-Boulder in the heart of the Western Australian goldfields. Intermin Resources Limited (ASX:IRC) is pleased to announce excellent initial reverse circulation drilling results from the 100% owned Binduli gold project, located 9km west of Kalgoorlie-Boulder in the heart of the Western Australian goldfields. Intermin Resources Limited (ASX:IRC) is pleased to announce the results of the Goongarrie Lady Feasibility Study. The proposed mining project comprises the predominantly oxide material contained within the project&apos;s maiden Ore Reserve. The 100% owned project is located 85km north of Kalgoorlie-Boulder in Western Australia. Intermin Resources Limited (ASX:IRC) provides the following update on the Teal Gold Mine with the final physical reconciliations now complete and financial reconciliations pending final state government royalty and statutory payments and resolution of purported claims received from mining contractor Resource Mining Pty Ltd.
Intermin Resources Limited (ASX:IRC) provides the Company&apos;s Gold Coast Investment Showcase Presentation. Intermin Resources Limited (ASX:IRC) is pleased to announce the consolidation of tenure making up the Yarmany Gold Project, 65km west of Kalgoorlie-Boulder in Western Australia. 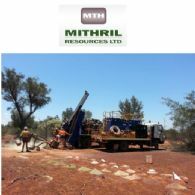 The Company is currently conducting a self-funded 55,000m drilling program targeting resource growth and new discoveries on major geological structures in the world class Western Australian goldfields. Intermin Resources Limited (ASX:IRC) is pleased to announce further excellent reverse circulation drilling results from the 100% owned Teal gold project, located 11km northwest of Kalgoorlie-Boulder in Western Australia. Intermin Resources Limited (ASX:IRC) provides the Company&apos;s latest Investor Presentation. Intermin Resources Limited (ASX:IRC) and JV partner AXF are pleased to announce positive initial metallurgical testwork results from the Lilyvale prospect area, part of the Richmond vanadium project. The project is located in northwest Queensland and lies on the Flinders Highway and Great Northern railway, 500km west of the Townsville port and 250km east of Mt Isa. 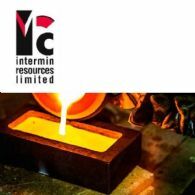 Intermin Resources Limited (ASX:IRC) provides the March 2018 Quarterly Activities Report. 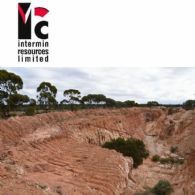 Intermin is a gold exploration and development company with a key focus in the Kalgoorlie region of Western Australia and has a number of joint ventures in place with quality partners covering multiple commodities in Western Australia and Queensland. Intermin Resources Limited (ASX:IRC) is pleased to announce further exciting reverse circulation drilling results from new discovery targets at the 100% owned Teal gold project, located 11km northwest of Kalgoorlie-Boulder in Western Australia. Intermin Resources Limited (ASX:IRC) is pleased to announce further exciting reverse circulation drilling results from the 100% owned Teal gold project, located 11km northwest of Kalgoorlie-Boulder in Western Australia. Intermin Resources Limited (ASX:IRC) provides the following operational update from Intermin&apos;s 100% owned Teal Gold Mine, located 11km north west of Kalgoorlie-Boulder in Western Australia. 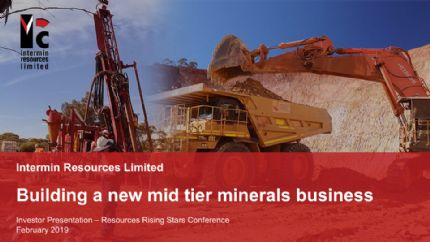 Intermin Resources Limited (ASX:IRC) is pleased to announce an updated JORC (2012) Mineral Resource for the Richmond Vanadium Project, located in central north Queensland. The project lies on the Flinders Highway and Great Northern railway, 500km west of the Townsville port and 250km east of Mt Isa. 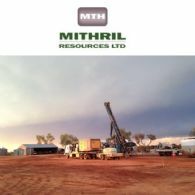 Intermin Resources Limited (ASX:IRC) is pleased to announce an updated Mineral Resource Estimate for the 100% owned Anthill gold project area located 54km northwest of Kalgoorlie-Boulder in Western Australia. Intermin Resources Limited (ASX:IRC) is pleased to advise that a new Research Report dated 16 February 2018 and issued by Arrowhead Business and Investment Decisions, LLC can be viewed in the investor centre on the Company&apos;s website. Intermin Resources Limited (ASX:IRC) provides the Company&apos;s latest presentation at RIU Explorers Conference. Intermin Resources Limited (ASX:IRC) is pleased to announce the commencement of a major discovery and Resource expansion drill program at its 100%-owned gold projects in the Kalgoorlie region of Western Australia. Intermin Resources Limited (ASX:IRC) is pleased to announce the consolidation of tenure making up the Lakewood Gold Project, 8km south east of Kalgoorlie-Boulder in Western Australia. The Company is currently mining and generated cash from the Teal gold mine and will soon commence a self-funded 50- 60,000m new discovery and resource growth drilling program. Intermin Resources Limited (ASX:IRC) is pleased to announce first pass drilling results from Intermin&apos;s 100% owned Blister Dam gold project, located on the Zuleika and Kunanalling shear zones, 54km north west of Kalgoorlie-Boulder in Western Australia. 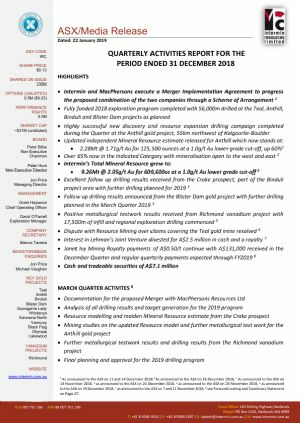 Intermin Resources Limited (ASX:IRC) provides the following exploration update from its 100% owned gold projects located near Kalgoorlie-Boulder in Western Australia. In total, 26,254m of RC and diamond drilling was completed in 2017 across eight priority project areas on major gold bearing shear zones. Intermin Resources Limited (ASX:IRC) wishes to advise that Executive Director Lorry Hughes has tendered his resignation from the Company effective 31 January 2018 to take on an executive position in a new exploration Company. Intermin Resources Limited (ASX:IRC) is pleased to announce further exciting reverse circulation drilling results from the 100% owned Teal gold project located 11km northwest of Kalgoorlie-Boulder in Western Australia. Intermin Resources Limited (ASX:IRC) is pleased to announce reverse circulation ("RC") drilling results from the 100% owned Baden Powell gold project located 60km north of Kalgoorlie-Boulder in Western Australia. 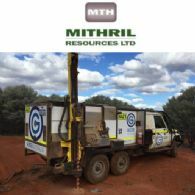 The drilling was designed to test for shallow strike extensions to previously identified mineralisation adjacent to an historic shallow open pit mine. Intermin Resources Limited (ASX:IRC) provides the Company&apos;s 2017 AGM Presentation. 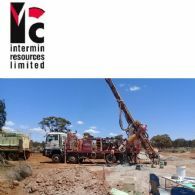 Intermin Resources Limited (ASX:IRC) is pleased to announce reverse circulation drilling has commenced at the Binduli JV gold project located 5-20km northwest of Kalgoorlie-Boulder in Western Australia. Intermin Resources Limited (ASX:IRC) is pleased to announce reverse circulation drilling results from the 100% owned Teal gold project located 11km northwest of Kalgoorlie-Boulder in Western Australia. Intermin Resources Limited (ASX:IRC) provides the Company&apos;s Quarterly Activities Report for the period ending 30 September 2017. Intermin Resources Limited (ASX:IRC) is pleased to advise that a new Research Report dated 3 October 2017 and issued by Arrowhead Business and Investment Decisions, LLC can be viewed now. Intermin Resources Limited (ASX:IRC) is pleased to announce drilling results from the September Quarter 20171 reverse circulation and diamond infill drill program at the 100% owned Goongarrie Lady gold project located 80km north of Kalgoorlie-Boulder in Western Australia. 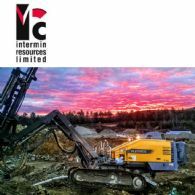 Intermin Resources Limited (ASX:IRC) has made significant progress during the year on a number of fronts including value accretive acquisitions, exploration success, the commencement of our first mine at Teal and the divestment or joint venture of non-core assets in line with the new strategic plan. 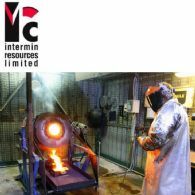 Intermin Resources Limited (ASX:IRC) is pleased to announce that earn-in joint venture partner AXF has commenced metallurgical sampling and compilation of an updated JORC 2012 Compliant Mineral Resource Estimate for the Richmond Vanadium project in North West Queensland. 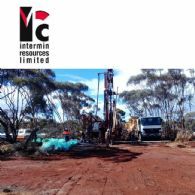 Intermin Resources Limited (ASX:IRC) refers to its ASX announcement of 13 December 2016 in relation to the Joint Venture with AXF Resources covering the Richmond Vanadium - Molybdenum Project in Queensland. Intermin Resources Limited (ASX:IRC) is pleased to announce reverse circulation drilling results from the Teal South and Peyes Farm prospects within the 100% owned Teal gold project located 11km northwest of Kalgoorlie-Boulder in Western Australia. Intermin Resources Limited (ASX:IRC) provides the Company&apos;s Investor Presentation at North American Roadshow. Intermin Resources Limited (ASX:IRC) is pleased to provide the results of the Teal Stage 2 Feasibility Study and advises that mining has now commenced. Teal Stage 2 comprises the oxide and transitional material contained in the updated Mineral Resource announced to the ASX on 22 March 2017. The 100% owned and fully permitted Teal gold project is located 12km north west of Kalgoorlie in Western Australia. Intermin Resources Limited (ASX:IRC) is pleased to announce initial drilling results from diamond core drilling at the 100% owned Anthill gold project located 54km northwest of Kalgoorlie-Boulder in Western Australia. 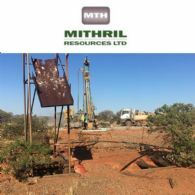 The project comprises granted Mining Lease M16/531 and it is located on the highly prospective Zuleika Shear Zone which is host to numerous high grade deposits. Intermin Resources Limited (ASX:IRC) provides the Company&apos;s Global Roadshow Investor Presentation August 2017. 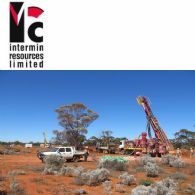 Intermin Resources Limited (ASX:IRC) announces the commencement of Feasibility Studies for two further mining stages at the 100% owned Teal Gold Mine, located 11km north west of Kalgoorlie-Boulder in Western Australia. 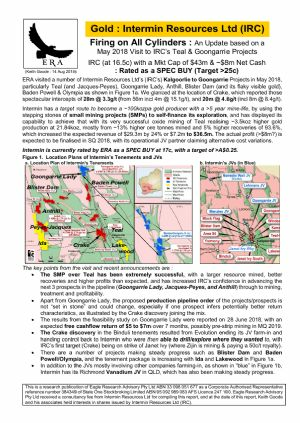 Intermin Resources Limited (ASX: IRC) is pleased to announce that new high grade gold results have been returned from 1m split assays from recent reverse circulation drilling at the 100% owned Menzies gold project located 130km northwest of Kalgoorlie-Boulder in Western Australia.